The acquisition of the hyperlocal logistics company is expected to help RIL fine-tune its e-commerce plans. In a bid to strengthen its e-commerce operations, Reliance Industries Ltd is in talks to buy a majority stake in logistics startup Grab the Grub services. Grab provides last mile logistics solutions to food delivery companies, online pharmaceutical and grocery companies. 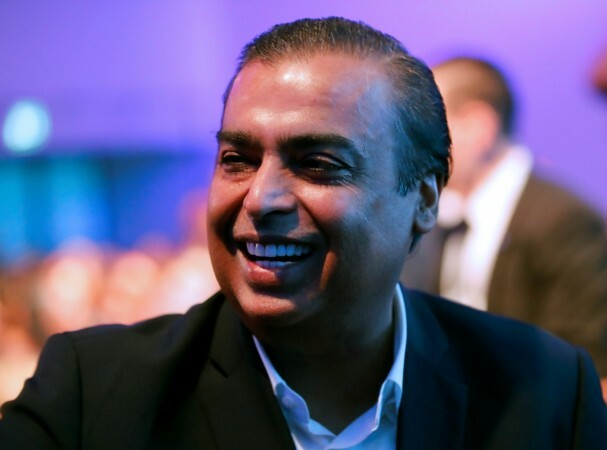 With an aim to bring its consumer-facing businesses at par with its flagship petrochemical and refining operations, RIL had announced a hybrid online-to-offline platform that would connect millions of small retailers to customers across India. The petrochemicals giant plans to marry its vast network of retail stores to the digital network of Reliance Jio Infocomm. The acquisition of the hyperlocal logistics company is expected to help RIL fine-tune its e-commerce plans. The quantum of the investment could not be confirmed but the deal could be announced in the next few weeks, The Times of India reported. RIL could also make fresh investments to scale up the venture. Grab has been talking to potential suitors for the last six-seven months. The company had also held talks with Paytm for an acquisition," the newspaper quoted an unnamed source. The Mumbai-based startup has raised 300 million rupees from financial investors like Oliphans Capital, SIDBI and Sixth Sense Ventures. Food delivery major Zomato and Dubai-based logistics company Aramex are Grab's strategic backers. The startup was founded in 2014 by Pratish Sanghvi, Jignesh Patel and Nishant Vora. The company has handled over 127 million orders across 49 cities for marquee clients such as McDonald's, Flipkart, Amazon, BigBasket and Big Bazaar. Last month RIL Chairman Mukesh Ambani had announced the plan to roll out the retail portal from Gujarat. "The new e-commerce platform will empower and enrich our 12 lakh small retailers and shopkeepers in Gujarat," Ambani had said. The move has brought RIL in direct competition with global e-commerce giants Amazon and Flipkart, who dominate the Indian market currently. RIL has gone on an aggressive acquisition spree to spruce up the content play of Jio. The company acquired music streaming service Saavn last year and merged it with JioMusic, shooting up the valuation of the combined entity to $1 billion. The company has also bought education tech startup Embibe and has committed to invest $180 million in the application.